A lone life jacket drifts on the water near the shores of Lesvos, Greece. Most of the life jackets sold to refugees in Turkey are not actually life-saving; instead they're made from cheap pieces of foam and misleadingly display Japanese brand names like Yamaha. 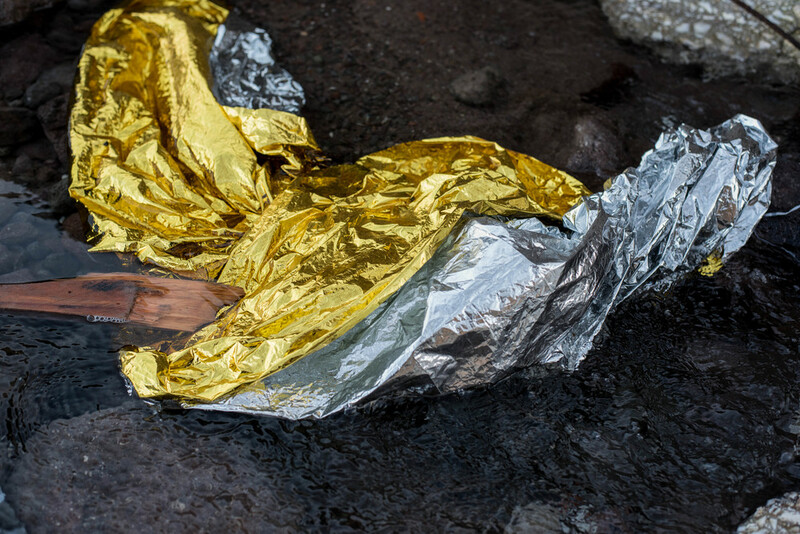 First responders hand out mylar blankets to refugees, who are often wet and cold from the sea journey, as they disembark from their boats. This discarded blanket and oar floats in an eddy near the beach. 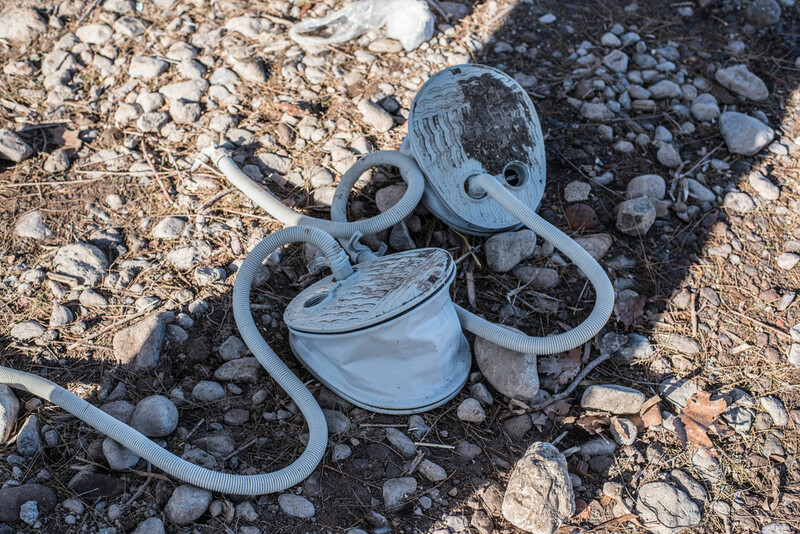 Jettisoned foot pumps used to blow up inflatable dinghies. 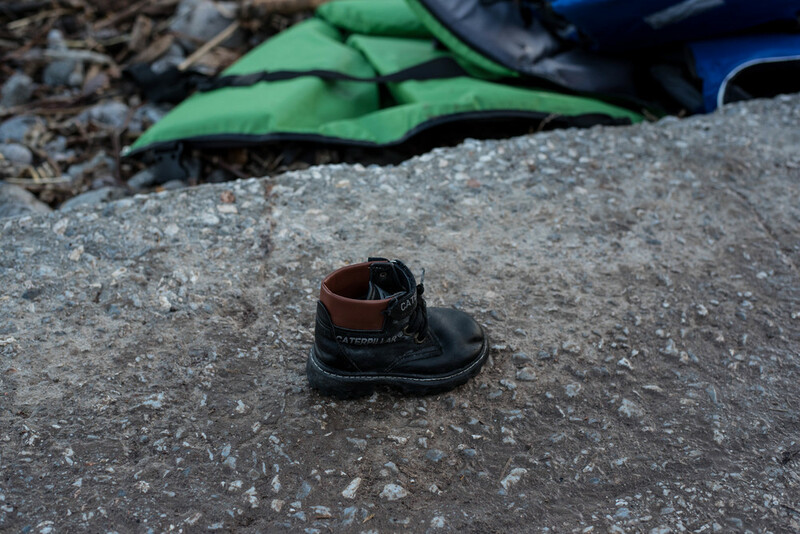 A child's boot left behind. Water-logged shoes are usually the first possessions cast aside. With every boat that comes in, the environmental impact of the refugee crisis becomes more pronounced. 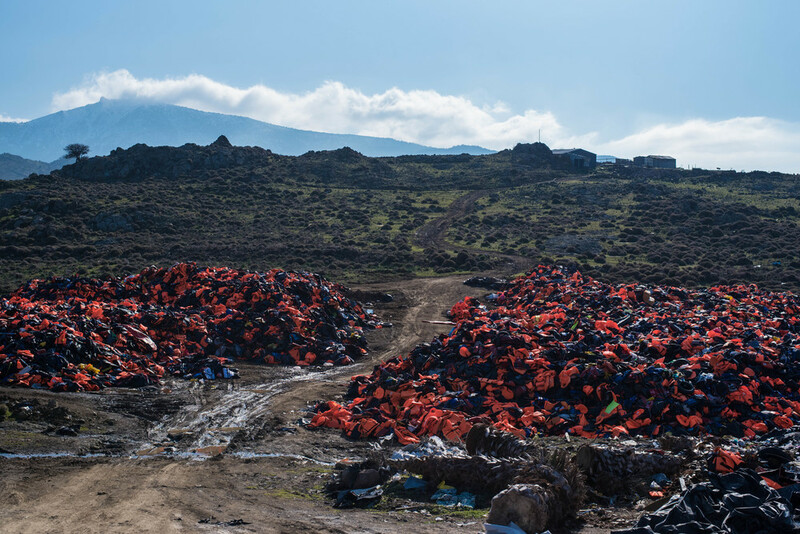 This hilltop near the town of Molyvos on Lesvos has become a makeshift dump for fake life jackets, deflated dinghies, and other debris.